HONG KONG: Tencent Holdings, which has lost some US$200 billion in market value this year, is facing fresh criticism from analysts and investors unnerved by regulatory roadblocks, a fuzzy overseas strategy and growing debt. The gaming and social media firm is one of a number of Chinese internet companies whose prospects are suddenly in question after years of spectacular growth. But Tencent’s fall, triggered mainly by a government crackdown on online gaming, has been especially dramatic. The company’s WeChat messaging app, ubiquitous in China for everything from payments to entertainment, has gained little traction overseas. As of 2016, Tencent was getting just 5 per cent of its revenue from international operations, according to Eikon data, the latest available, compared with more than half for US internet giants like Google and Facebook. 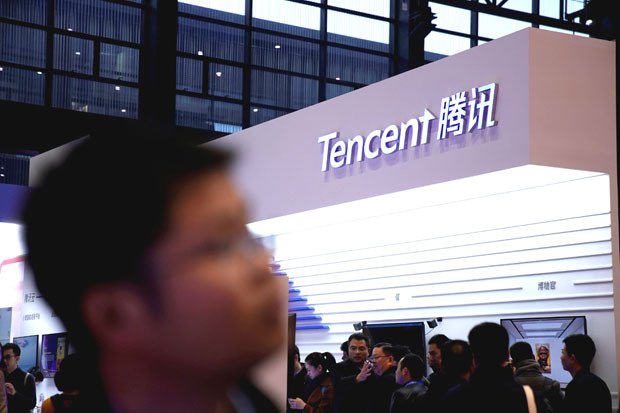 According to exchange filings, Tencent’s investments in listed and unlisted associates rose to a record 152.8 billion yuan (US$22.23 billion) at the end of June. Share of profit of associates and joint ventures increased by 206 per cent year-on-year to 1.5 billion yuan. At the same time, the company’s net debt increased to 35 billion yuan in the second quarter. That compares with net cash of 21 billion yuan in June last year. The company said the shift to a net debt position this year was mainly due to increased strategic investments. Founded in 1998, Shenzhen-based Tencent enjoyed uninterrupted growth from when it went public in 2004 until this year. Its shares have surged more than 88 times since its IPO, and its market value hit a peak of US$578 billion in January before crashing to US$380 billion now. Acknowledging there is ‘no clarity’ on when Beijing might remove regulatory blocks, Tencent management said last month it will try to generate more revenue outside China from PUBG Mobile and Arena of Valor, the overseas version of its top grossing game, Honour of Kings.